Our services include packaging, or dismantling, or even shrink-wrapping your boat if this is your requirement. Our modern and efficient engineering facility enables us to design and build specialised transport equipment. 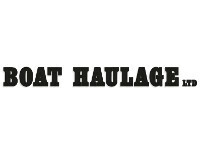 Boat Haulage has been transporting boats in New Zealand for over 30 years. Whether importing or exporting we can do it all, from the water to the destination - we sort out all the arrangements. Full engineering facilities to design and build all shipping cradles and specialised equipment. We have close working relationships with all shipping companies, stevedores, crane companies, boat builders, etc. and we can arrange all and any services you may require. Boat Haulage also uses their specialised equipment to handle large masts up to 50m long. If you need maintenance for your boat, talk to us. We can arrange advice and service for you. The companies we use are ones we trust with our reputation. Our close working relationship with all shipping companies, stevedores, crane companies and boat builders provide you with recommendations for skilled professionals. We are happy to provide this advice for you without any obligation.